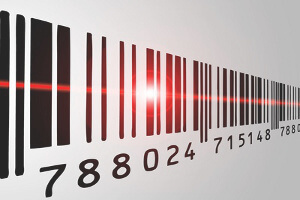 Our Inventory module provides for 3 different bar codes for Items, for the Item UPC, for the Inner Pack(box) and for the Master Pack (Pallet), plus an extra in-house bar code or Radio Frequency ID tag (RFID Tag). Items can be located by any of them, and when the Inner Pack or Master Pack Bar Codes are read, the system automatically uses the Inner Pack Quantity or Master Pack Quantity as a Quantity Multiplier. Together with that sophisticated way of recalling Items, our software also provides a powerful software to print Bar Code Labels of any size on any printer type.